I actually like testing the FoxyCart checkout process because it’s so fast. On that note, we wanted to highlight a few FoxyCart merchants that we (either as a company or individual FoxyCart team members) have purchased from. Though we’ve done a lot of test checkouts over the years, it’s actually really surprising to experience it with our real money. Kind of an interesting experience to see just how fast the checkout is at taking customers’ money (safely and securely, of course). If you’ve ever owned an Apple product or visited a gadget blog, odds are you’ve seen Twelve South’s amazing Apple accessories. 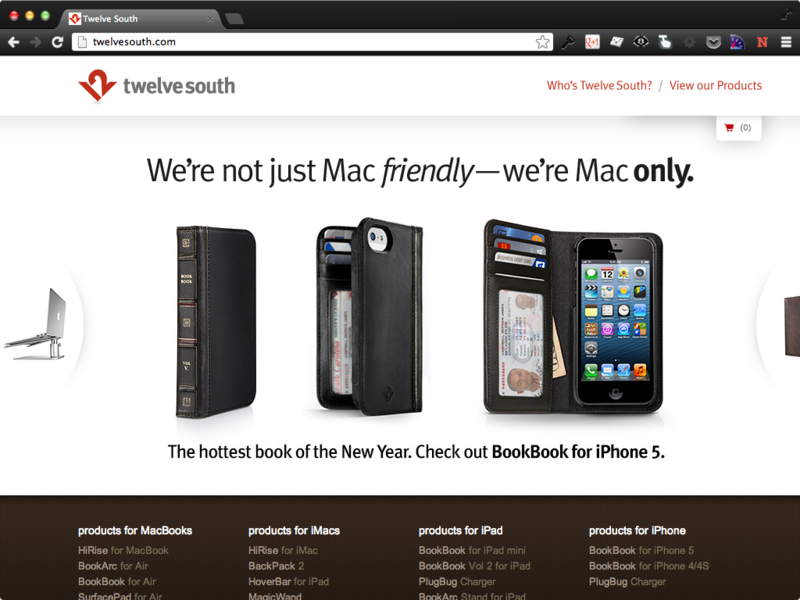 Though a few of our team have various Twelve South products, I finally got one with the BookBook for iPhone 5. I can’t fit as much as I did in my old wallet, but that’s not necessarily a bad thing as it’s forced me to be a little more organized to avoid wallet bloat. I’m pretty sure everybody on our team with a Mac uses Alfred, which is a brilliant utility along the lines of Quicksilver or LaunchBar. It’s difficult to express just how powerful Alfred can be for powerusers, but suffice to say it’s the first app I install when setting up a new Mac, and I’m honestly not sure what I’d do without the clipboard history functionality. So, so good. Andrew at Alfred has set up a very nice checkout customization, but also has done a custom licensing server relying on FoxyCart’s API and webhooks to handle the sale of the Powerpack upgrade. 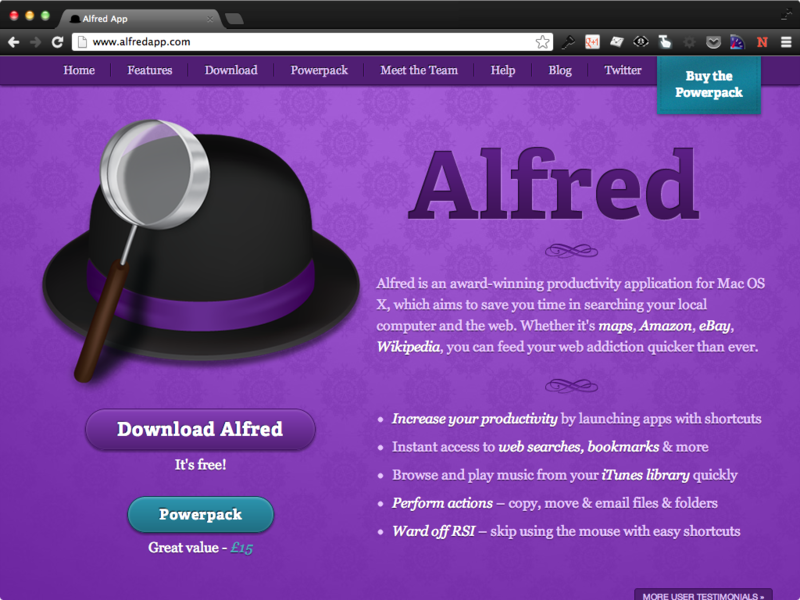 If you’re a Mac user, grab Alfred now (for free) and give it a go. T-shirts. Comfy, comfy t-shirts with designs that almost always draw amused comments. 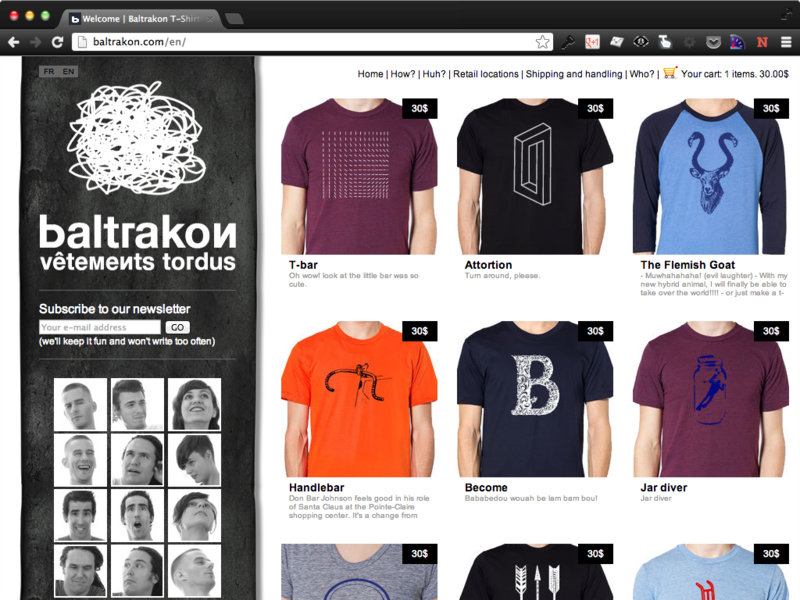 If we ever had a FoxyCart retail store, I’d lobby hard for the official uniform shirts to be done by Baltrakon. Though their integration is relatively straightforward, they have two separate FoxyCart stores, one to handle English and one to handle French, so that’s a nice touch to better serve their target market. As web developers we often build sites for companies we’re actually really into. If you’ve got an example of a site you’ve done that you actually buy from, let us know in the comments. What was your favorite part of the build, and what’s your favorite part as a customer?